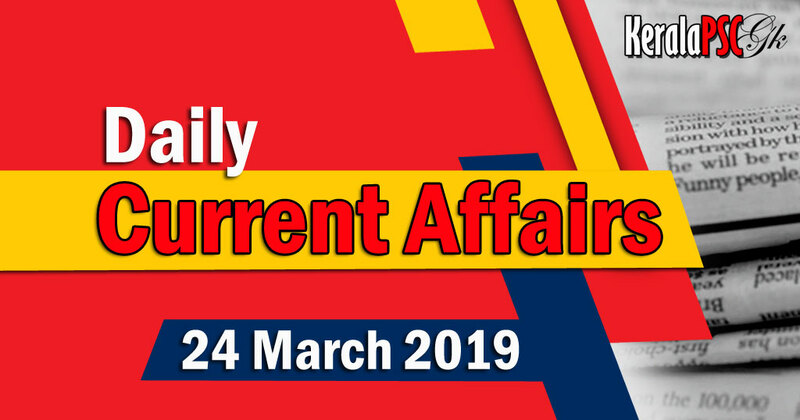 Dear Kerala PSC Aspirants here is Daily Current Affairs in Malayalam 24 Mar 2019 for Kerala PSC Exam, Stay up-to-date with Daily Current Affairs PDF Mar 2019. You can read or download PDF of the Day 24 Mar 2019 by the link given below. Have a nice day.